Furnaces of today all come equipped with an LED light mounted to the circuit board. No, it's not there so you can find it in the dark. 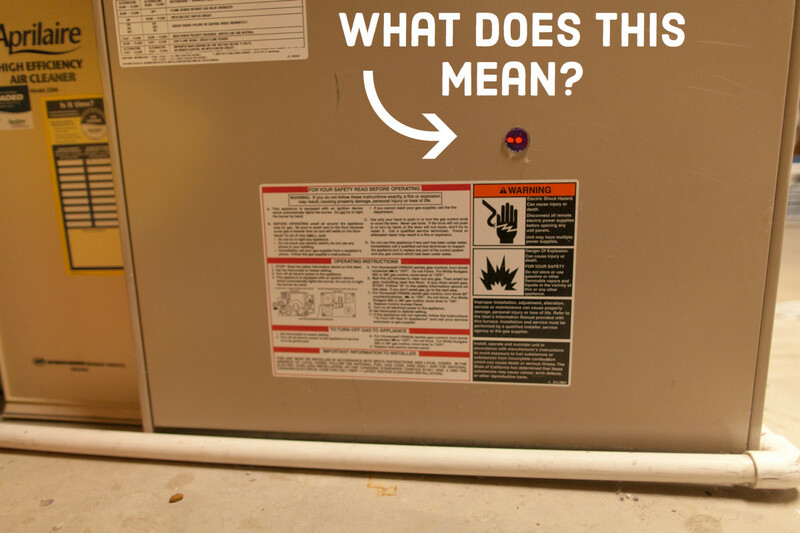 It's there to help you understand what your furnace is doing. Whether it's working just fine or if it's completely kaput, this light is the voice of your furnace and if you don't speak its language, well, you're just not bonding with your unit as you should. Feel free to have a look at my article troubleshooting your furnace for some easy to understand, but a bit more in-depth, help with your issue. First, I'll explain how to understand the light and identify the code it's giving you. Then, I give advice based on the type of code you've gotten. This article is general knowledge, but it applies to most furnace brands. Let's start with how to read this light and interpret what it means. Surely you've heard of Morse Code. Well, your furnace uses a similar dash and dot system. Of course, it's not giving you the letters of words. Instead, it tells you a number that is a code for a specific type of problem that you can look up. If it's a single digit, it will repeat the same dot pattern over and over with short pauses in between, like dot, dot, dot, pause, dot, dot, dot, pause. This would be a "3." If it's a double digit number, it will use a dot, pause, dash, pause pattern to guide you on your way, like this: dot, dot, dot, pause, dash, dash, dash, pause, dot. . . you get the idea. This would be a "33." So now that you have the code, what do you do with it you ask? Well, each furnace with this feature will have a code chart for you to refer to with your newfound knowledge. 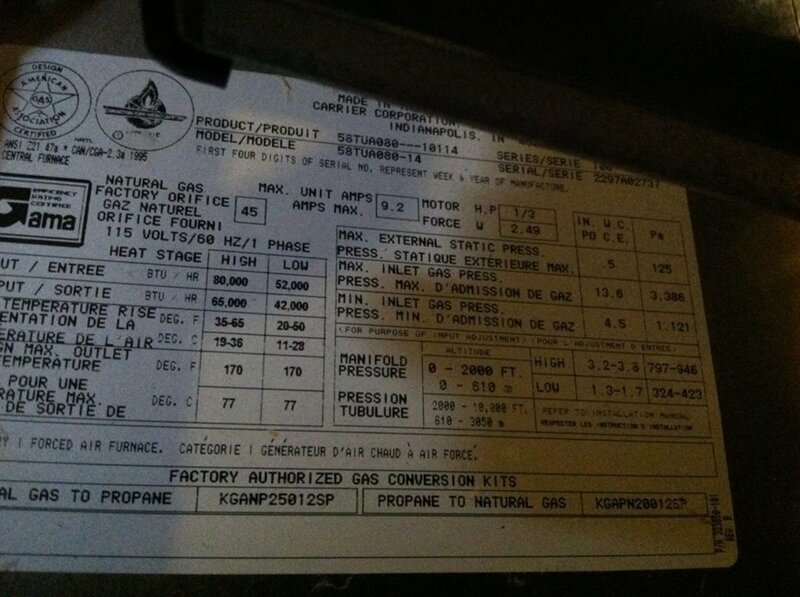 Most often this chart is found right on the furnace compartment doors for your convenience. For some, however, you may have to refer to your owner's manual. Here's a list of some major furnace brands and their codes. If you can't find it anywhere you can check online, call a supplier, or even call the manufacturer directly. Have your make and model ready if doing so to speed up your search and ensure you get accurate information. Now that you've gotten the code and referred to the troubleshooting chart for its meaning, it's time to see what the problem is. That takes a bit more knowledge. You see, this light isn't a miracle worker. It's job is basically to point out the source of your furnace's problem. It's up to you to take it from there. 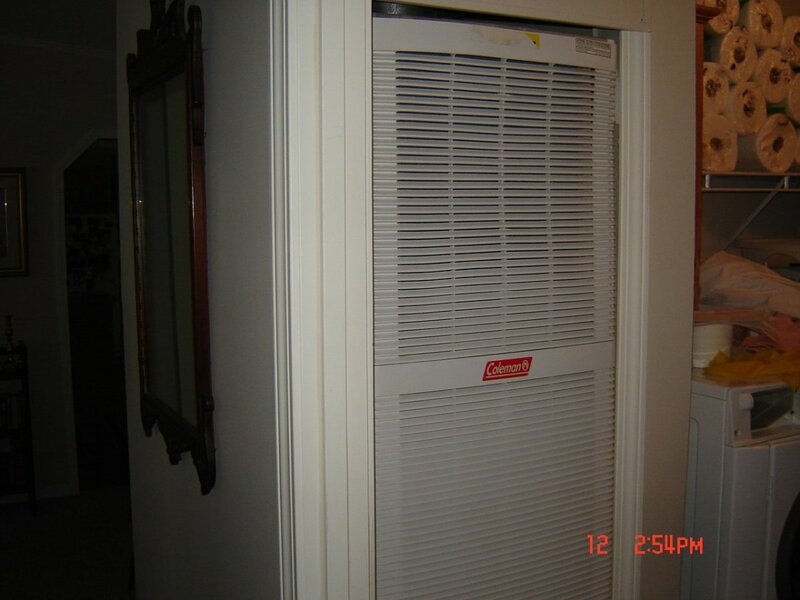 The following will help you know where to look and what you should be looking for when trying to pinpoint your furnace issue. Your Furnace Light Isn't On at All? 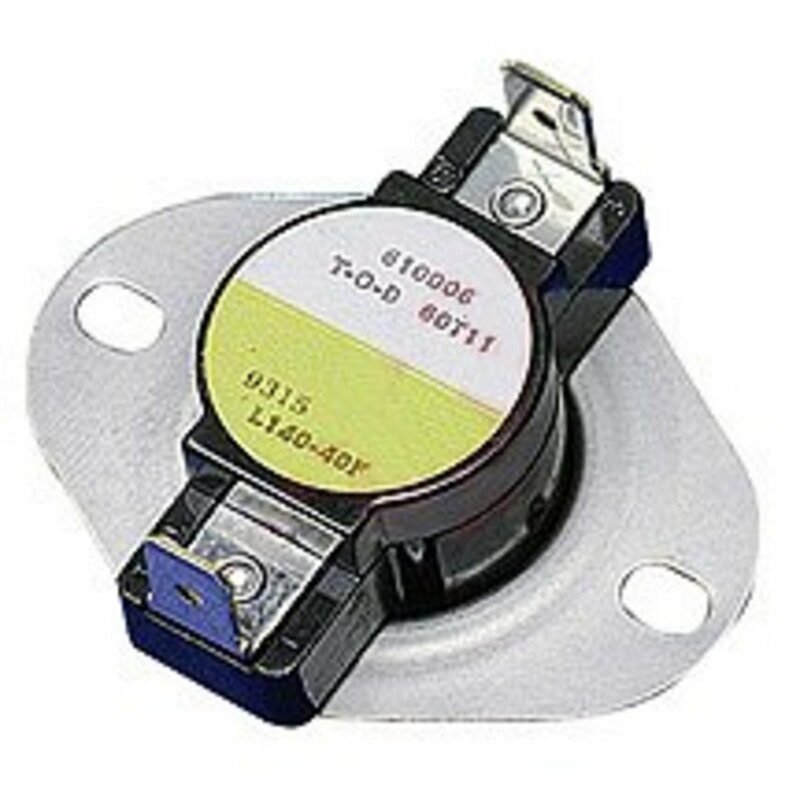 If you know you have this light but it's not on, you are either not getting power to the unit (check your breakers and service switch) or you've blown the fuse on the circuit board. The good news is that these are all simple furnace problems to fix, and the latter of the two is certainly the more common. You wouldn't believe how often fuses can blow. I always keep a few 3 amp fuses around for this reason. They're especially good to have on hand if you're attempting your own repairs, you may just blow one of these and need one in a hurry. These Bussman 3 amp fuses are the ones you'll need. Your Furnace Light Is On But Not Blinking? If your furnace light is on and steady, this is a good thing. You're probably not reading this article in the first place, but if you are, carry on as normal. See the tiny boxes at the top of this photo? You can click through those to see larger pictures. 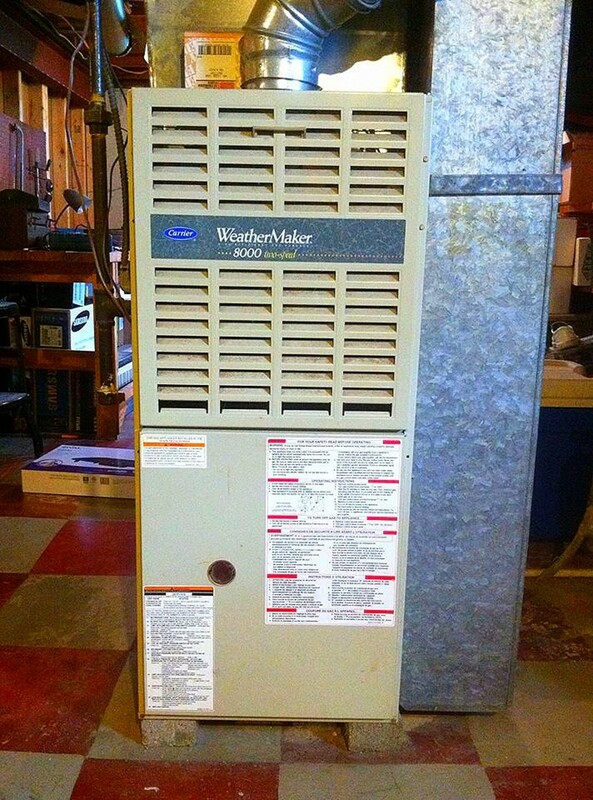 Though this might not be your own furnace's make or model, it'll give you an idea of what you should be looking for. Some people will be confused by the "blower running after power up" code or something similar. If you're getting this code, it actually means that things are okay. If your furnace has just been installed, or if you've just lost power or cut the power to your furnace, the blower will fire up once the power is introduced. It does this as a sort of system check or stretching exercise before it really gets to work. Give it a minute or two. 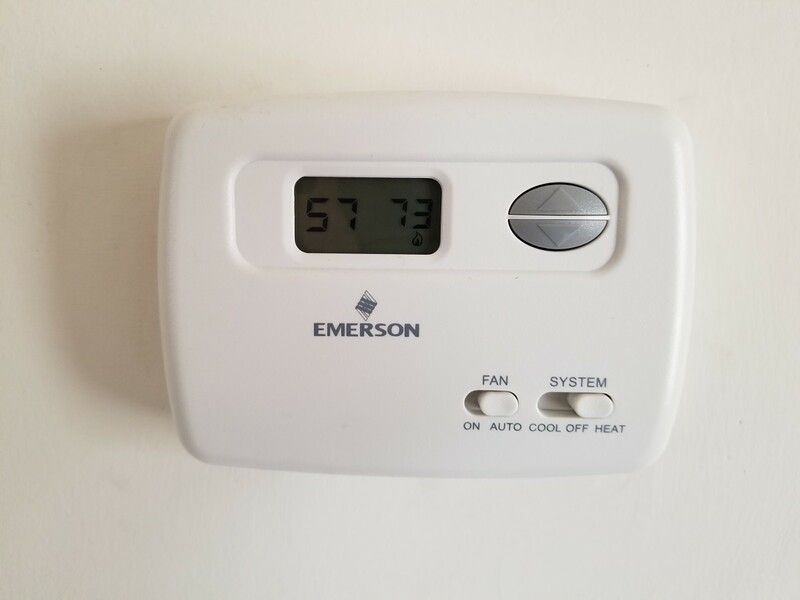 It will stop and do whatever your thermostat is telling it to do following its warm up. That reminds me, you may need to know how to reset your furnace. 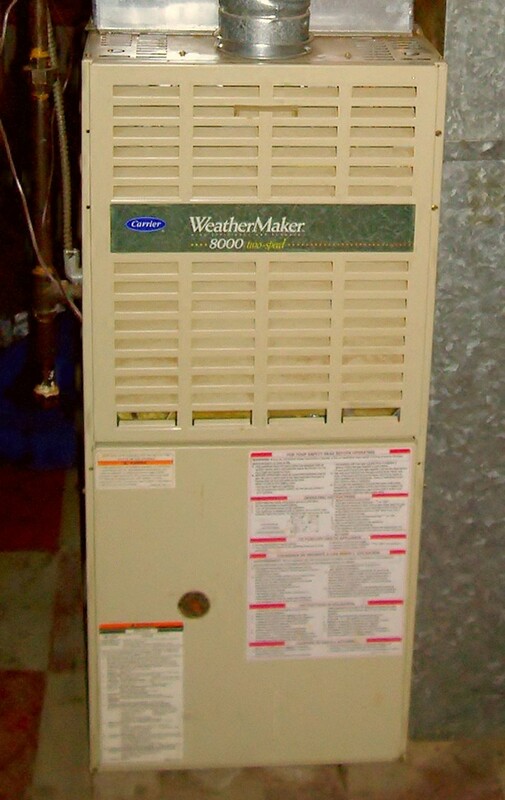 You can reset your furnace by cutting the power to the unit via the service switch or the breaker. Leave it off for about 30 seconds and then turn it back on. This will clear the board and the unit will try to restart so you can watch to see what's happening. Be sure to get the code the furnace is giving you before you cut the power. This code will be lost once the unit is powered down. Sometimes, if you're lucky, the unit will run after you've restarted it. Not that it's fixed, but if luck leans your way, you might have heat again, at least for the time being. It happens more often than you might think! Any time you get a code referring to gas or ignition failure, or flame proving failure, your problem will exist in the burner assembly area. It's most likely that the ignitor itself is bad or that the flame sensor is either bad, or just dirty. This is a very common issue. So if you're getting a code like this, have a look at my article I wrote about what to do if the flame sensor is bad or dirty. However, there are times where the gas valve is bad or malfunctioning. At least now you know to watch in that area to see what exactly is happening the next time it tries to start. It's pretty easy to detect and repair ignitors as well as flame sensors. Gas valve problems, however, are above most homeowner's experience level and a professional should probably be called. Whenever you get a code referring to pressure- and inducer- related issues, they have to do with the area of your furnace shown above. This area contains pressure switches (which usually look like little flying saucers), the inducer motor/fan (used to help vent unwanted gas byproduct out of the chimney or the flue), and the chimney connection to the inducer housing. Is there a nest blocking the chimney? Is there ice blocking the chimney? Is there an animal caught in inducer housing? Is the inducer fan working? Codes referring to high limit or roll out switches and sensors are talking about these little guys. They are located in various places on the furnace and typically detect overheating or heat in places where it shouldn't be. 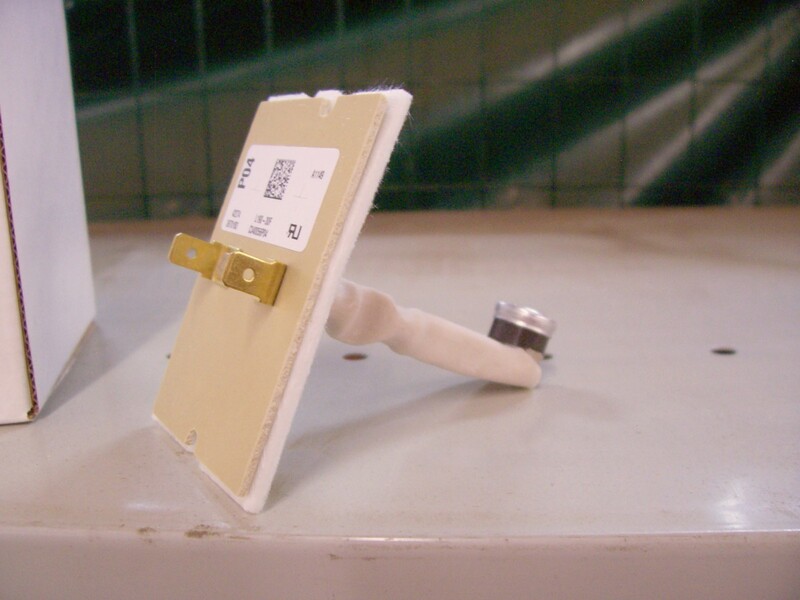 The high limit switch is used to detect temperature inside the heat exchanger compartment. It will communicate with the fan to tell it when to turn on and off but it also acts as a safety in case the exchanger cabinet gets too hot. There is only one of these. Roll out switches are more for where heat shouldn't be. For example, if the flames in the furnace were to shoot out the wrong way or back flash, the roll out switch would detect that and shut down the unit. In other places, like mounted to the side of the blower, the roll out switch would detect a fan motor overheating and shut it down as well. This could be from a dirty filter, lack of air movement caused by a deteriorating motor or a motor that isn't running, or because it's bad or the capacitor it uses is bad. A capacitor just gives a "kick start" to the motor when it turns on and resembles a small tin can or 9V battery. If the top of it is popped up, that's likely your problem. 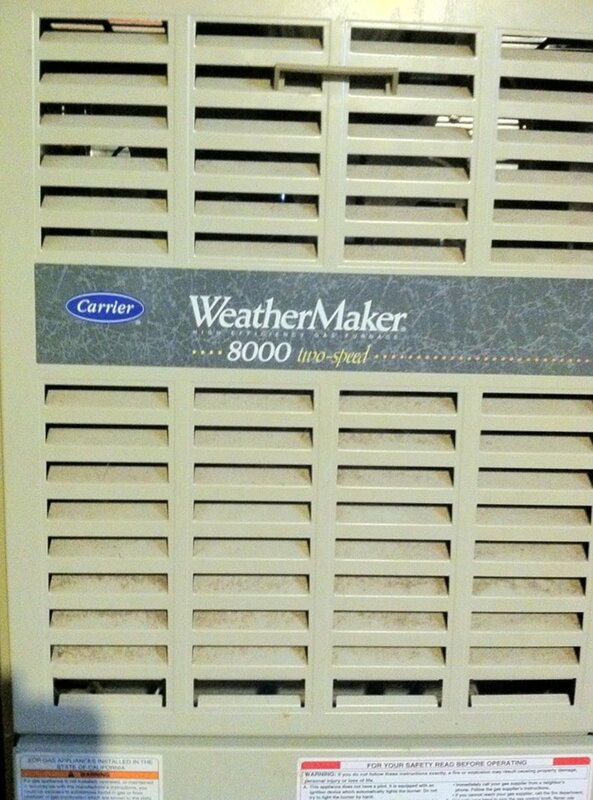 Your air conditioner uses the same type of thing. This gadget called a roll out switch senses heat where it doesn't belong and will shut down a unit for safety. 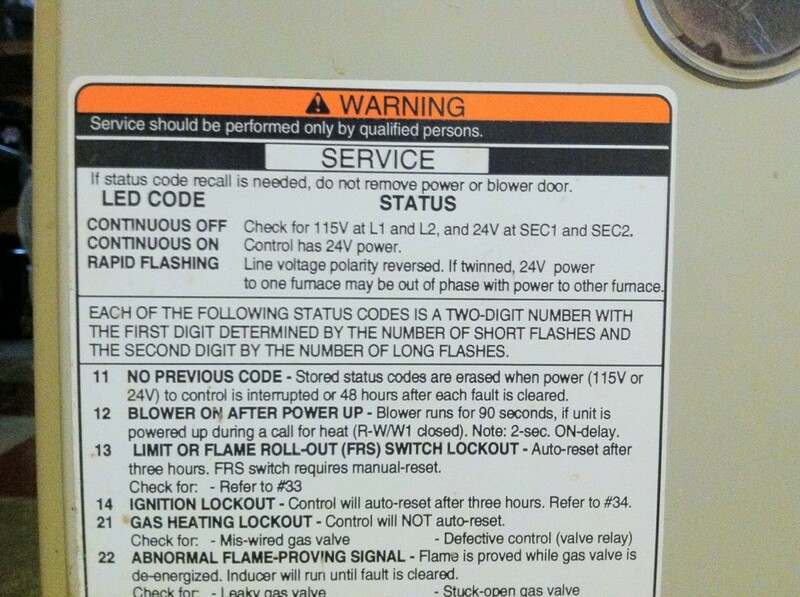 What Does Furnace Lockout Mean? There is a code for "lockout" on most units too. This means just what it sounds like. Everything is locked out for use. 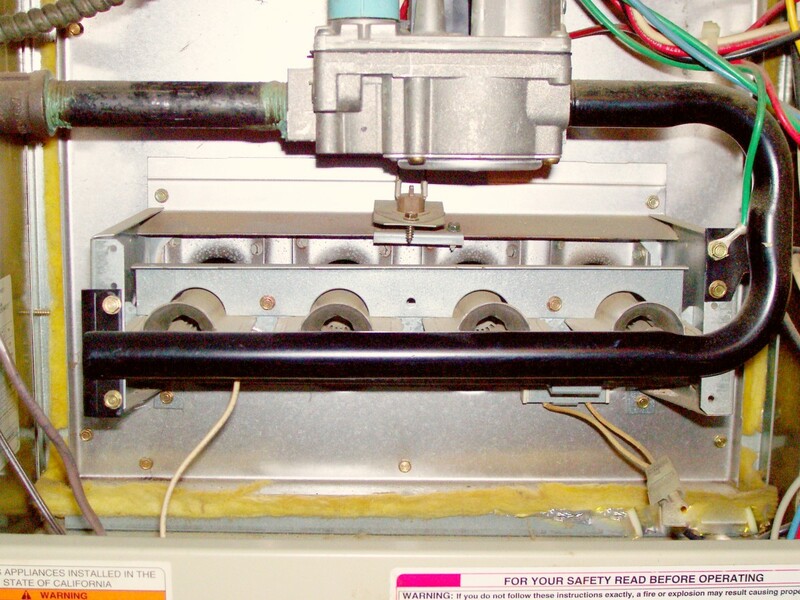 Lockout occurs when a furnace has attempted to fire multiple times (usually three) and failed. It will run the blower for a few seconds as a default and then shut down completely. Above, I explained how this can be overridden and how to handle the situation if needed. I hope this information has been helpful to you but remember, working on a furnace can be dangerous and if you aren't sure about what you're doing, not only can you get hurt but you can cause further damage to the furnace. It's never a good thing when you have to call a professional HVAC technician and explain how you tried to fix your furnace and now it's in pieces. Even if it's not in pieces, it's usually pretty easy for a technician to see when someone has been tinkering with things out of their wheelhouse. Always put your safety first. Enjoy fixing the things that you can but know when to call it a day and let someone else handle it. My furnace will run all day perfectly fine until nighttime. Then, out of nowhere the unit will have to be reset to start up again. There are flashing lights, but I am not sure how to read them. If I reset the furnace, it will run for a couple of hours, but then I'm in the same position. This didn't start until after I had the furnace cleaned two weeks ago. What do I do? The flashes read like Morse code as mentioned in the article, and there should be a chart on your unit to help explain the codes meaning. Without that, I cannot offer a great recommendation. 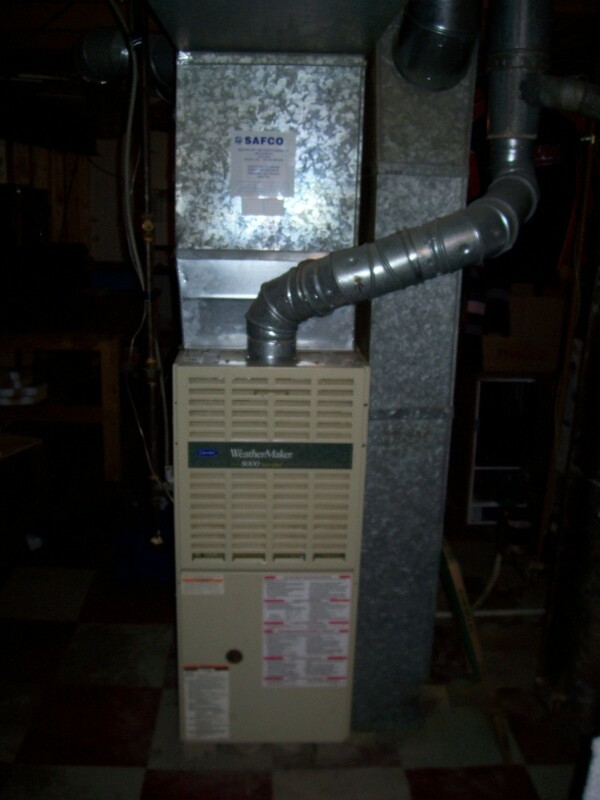 I have a g4ouh-48b-090-07 Lennox furnace -- My AC is working properly with the blower. My issues is that now that it is getting colder I need the heater to work. The board is lighting up, and I hear clicking and a slight hum but my ignitor is not getting hot, and my inducer motor is not turning on. I get an error code that says my pressure switch is the issue. My one LED is off, and my two LED is flashing slowly. What can I do? 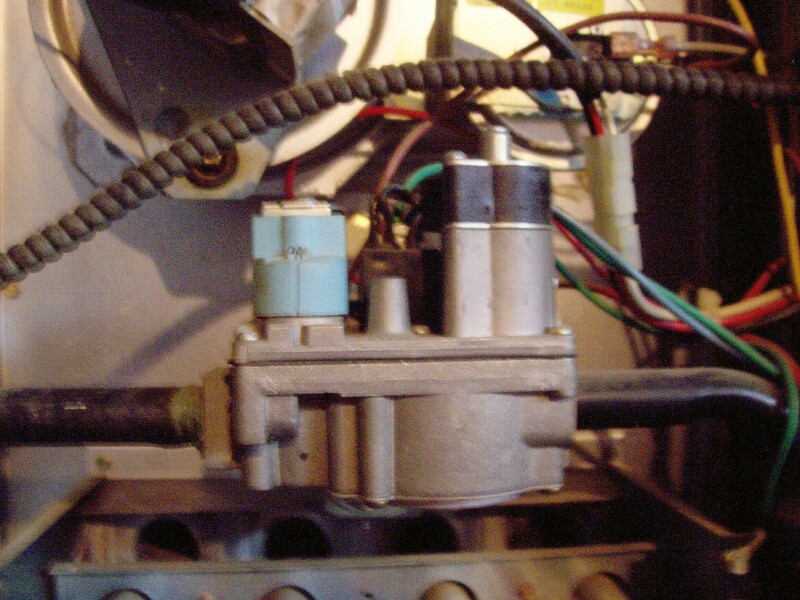 Is it actually the pressure switch or is the inducer motor bad? Why would my furnace just start blowing out cold air? It doesn't try to light, the blower runs, and there's a small green light that flashes three times today. The light is providing a code that corresponds with its code chart and says what part failed or failed to read what it is supposed to this narrowing down the possibilities for yourself or a service tech to pinpoint the issue. 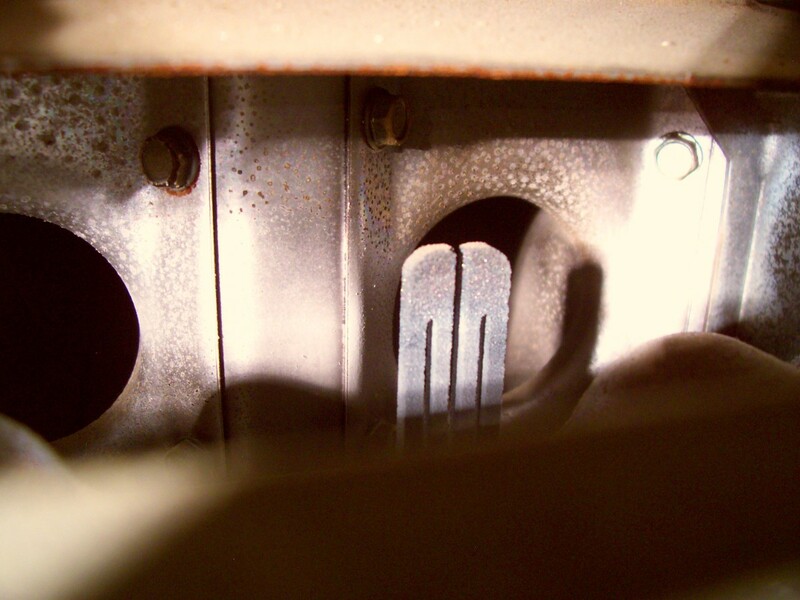 The blower comes on as a default feature upon failure. This is likely what has the blower running. Why does my furnace blow cold air during the first 30 seconds of the heat cycle? It may just be purging cold air that is in the ducts, kind of like when you turn on the hot water at the sink. 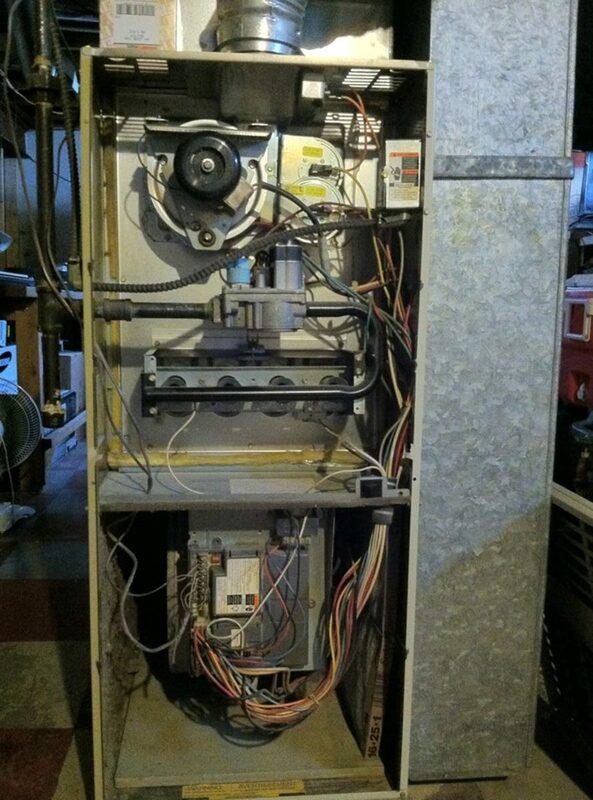 I have an older high efficient Frigidaire furnace. The red light flashes 4 times, shut power Off, sanded ground n reattached. Pushed both reset buttons . Power on and it cycles 4 times but won't light. No heat on igniter at any time. Would the igniter be shot or could something else not let it heat up? Check the hot surface igniter for any signs of cracks often seen as white streaks. That would help determine if it’s bad. Getting one to try isn’t expensive and it doesn’t hurt to have a spare on hand since they often will go bad sooner or later and usually not at convenient times. My Goodman furnace will light, but only stay on for a few seconds. I have cleaned the flame sensor and tried a different one. Everything else seems to work normal (exhaust and blower fan), and there are no codes (light is steady). Any suggestions? I can't say for sure, but it could be a high limit/fan switch....maybe the board? Might try the limit since it's cheap and if that doesn't work call a tech. What do nine blinks mean? I'm sorry. These codes vary by brand, and I do not know them all. Try googling your model number and see if there is an owners manual available. The code chart should be on the furnace. 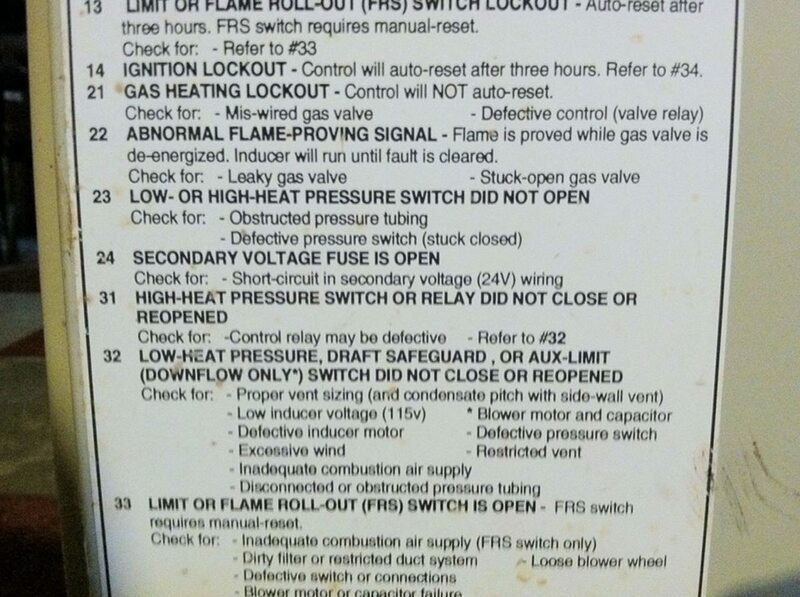 I am getting a pressure draft safeguard, Aux limit, or blocked vent switch code. I didn't see this code in your article, any suggestions? Most often it means the pressure switch is bad but you could have a bad inducer fan or a blockage in the chimney. These are again the most common causes but not a definitive answer. Can the high limit sensor on the furnace cause the blower not to work? My Carrier furnace is four-years-old and has stopped heating. I checked the white drain trap next to the inducer motor, and it was filthy but not clogged. I cleaned it, put it back and blew into the pressure valve to check if it's clogged. I can hear it clicking open and closed. I put everything back and started the heat again, but the igniter never lit up. After a few minutes, the yellow light blinks one long, then three short flashes. Do you think I damaged the pressure valve? It could have already been damaged. 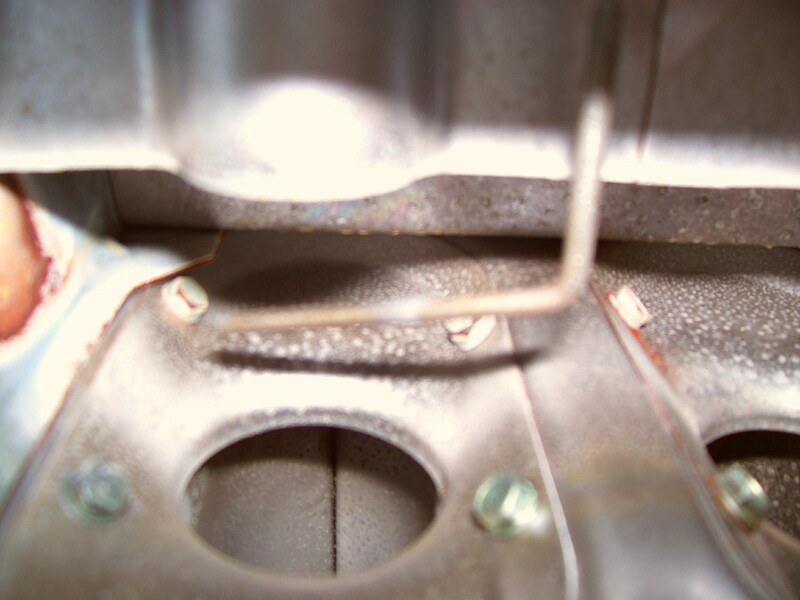 When blowing in or sucking on a pressure vale to test it, it takes very little to push it too far. It doesn't take much to pop those in and out, and too much can damage it. If the inducer is running and you don't hear the switch, then it's likely the problem. If you do hear the switch click, on its own, then the igniter is probably bad. The good news, though, is that both parts are reasonably cheap and easy to swap out. I have a Payne furnace. It was blinking a code 31, and so we replaced the pressure switch. It worked for about eight hours, and then it started blinking that code again. The furnace starts and runs for a couple of minutes, stops, and restarts over and over. What should I do next? 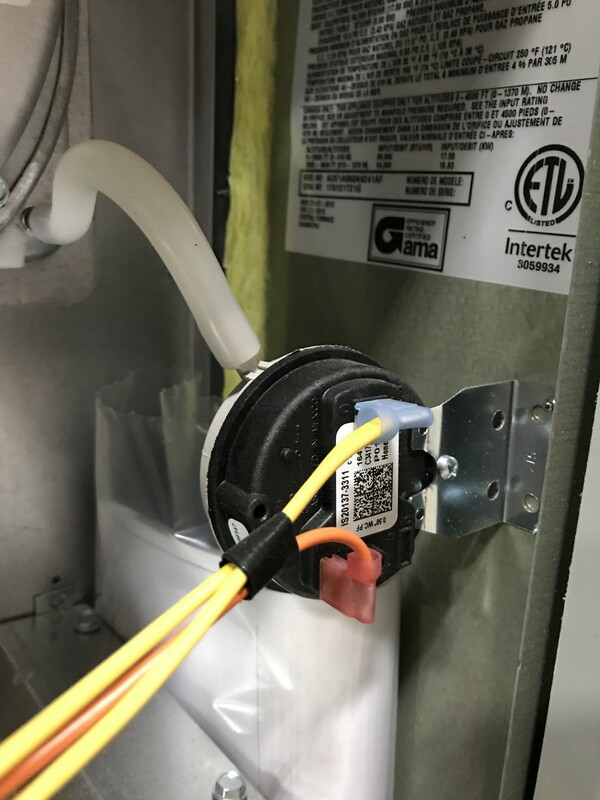 If the flue, inducer fan, and pressure switch hose are all free from obstruction and the hose is in tact and inducer fan is running at full capacity without too much water in it then I am guessing it could be the circuit board but cannot be 100% sure from here. 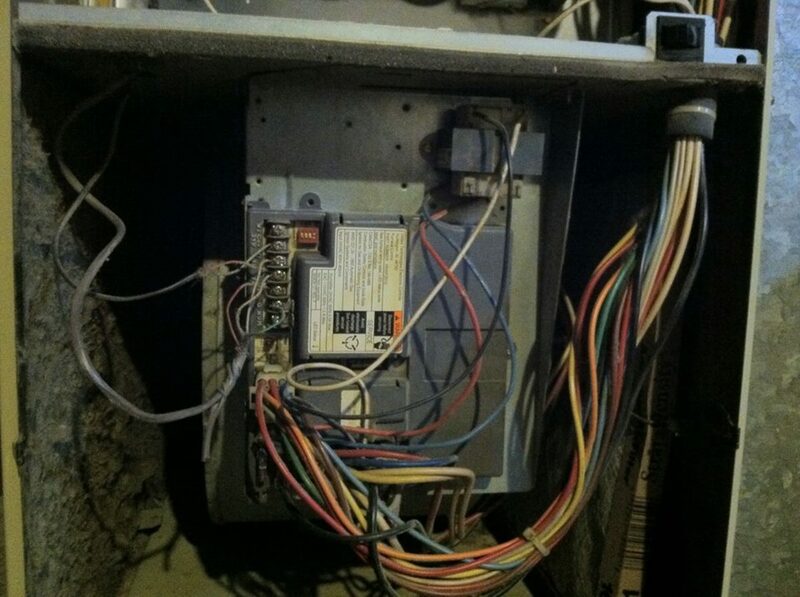 I have a Intertherm furnace,with single red flashing light,which indicates inducer centrifical switch stuck or closed.Do i have to change the inducer motor and if so,were do I order one and can I put it in myself? I was having intermittent heating issues. Carrier Brand with Code 31. Came across your post online and from the comments read someone else had the same issue. Condensator trap was clogged! I had exact same thing..removed and cleaned the condensator trap and now it works like charm! James - While I'm not there to say for sure typically either the switch is doing it's job and you have a flame roll out issue that needs resolved or the part itself is bad and giving a false open. These are cheap so perhaps you can get one a replace it to see if it stops or watch the unit fire to see if it's actually doing it's job. I have a Guardian furnace, I keep having to over ride my roll-out switch to get the burner to kick on. My roll-out switch has a switch that I can hold down to restart burner. Is this normal or is there something else causing this?? Oh when it's not running I have 5 blinking light codes. Vincent - I would expect a discount. Yes. I wouldn't get too excited in regards to the amount but typically a company will offer a break on adjoining units being done at the same time because there will be things that they will be able to do all at the same time like the roof work, loading and unloading tools and materials, etc... So I suppose what I'm saying is that while they may give a break I wouldn't let it affect my decision on when and what to do as it won't likely be a ton of money. Maybe a few hundred dollars split between the lot of you. I can't make any big suggestions on equipment choices without knowing a lot more about where you are and what the layout of the job is specifically but I will say choose your installer wisely! No matter the brand, efficiency, or consumer review....if it's installed wrong, it will not work properly and you will want them to back up their work. I hope this helps a bit. I own a 1300 square foot condo built in 1995. There is a Day & Night forced air gas furnace. I would like to replace the furnace with a new, high end, more efficient combo furnace and air conditioner. My unit is on the top floor with direct flat roof accessibility and I have obtained permission from the board for this project and my duct work is in excellent condition. Do you have any suggestions? Additionally, there are two others in the building that would like the same thing and hopefully we can arrange a discount on the purchase and installation of these units. With that said, what type of a discount should I expect? Gabriela - I'm grateful for your sharing this with me. Pay it forward! We all know something that others can use. Dan, Just a huge thank you. I came across your article when trying to find out what was wrong with my furnace. Your explanation helped me save a lot of money, I could fix it by myself. Thanks again and greetings from Buenos Aires, Argentina. I would be checking for flue blockage, proper inducer fan function, and the pressure switch first. Beyond that, I would recommend a technician. Please someone tell me what to do. The furnace led just stays on. And if the furnace kicks on it does not ignite now the igniter does glow but nothing happens after that. Rhyse - The light may be blinking for many reasons however if it is a dirty flame sensor, it can be cleaned rather easy. I have another article here that can help you try that and see if it resolves your problem. If not, I would need a lot more information to offer any advice but keep in mind, I'm here and your there. All I can do is tell you what I'd check next and that often it requires electrical testing to really be confident in the resolution. Thanks for reading. 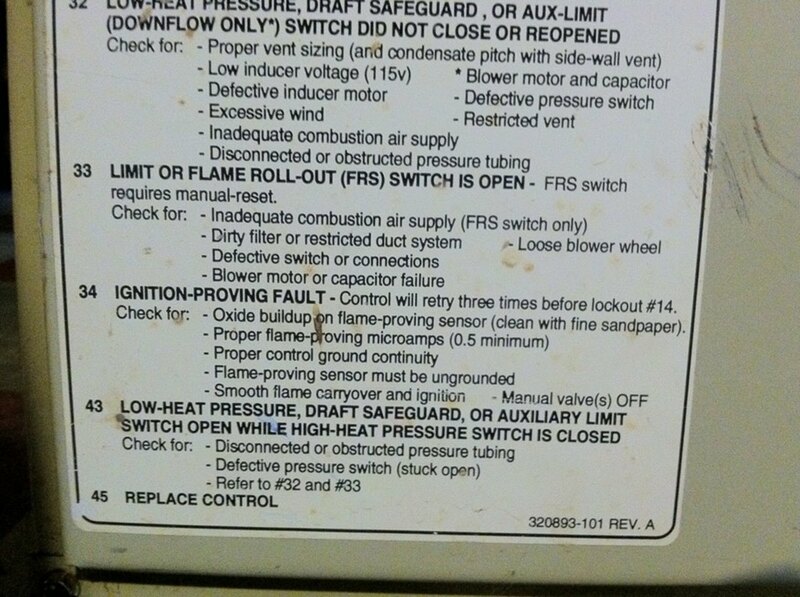 There should be a code chart on the furnace or in the manual that tells you what the flash codes mean. These are not the same and vary by brand so I do not know them. If not chart or manual, try googling your model number to find the code meanings. Keep in mind the codes just lead you to the point of failure. Figuring out why that was the point of failure can take some technical knowledge. 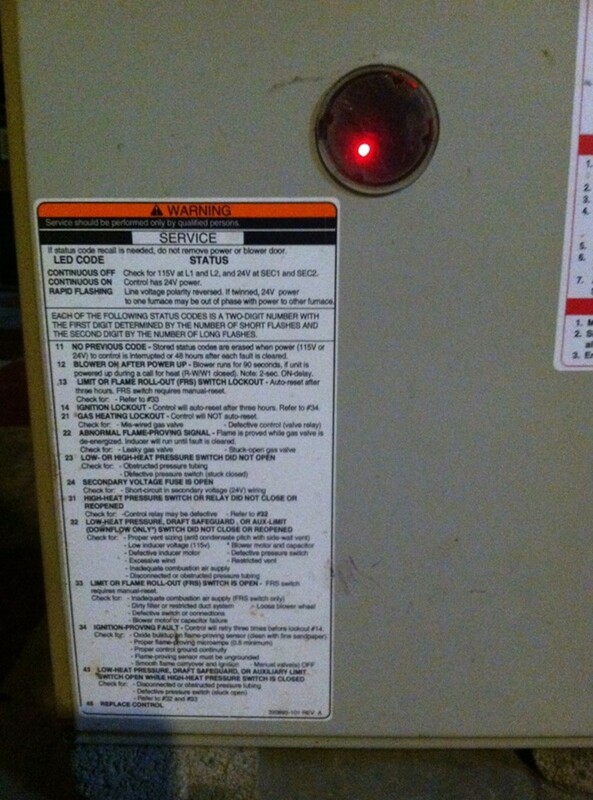 My goodman furnace is flashing 3 red lights. It is cold in the house and the thermostat is switched to 23, what do i do before calling on the guys?? Bill - I'm assuming you mean the inducer fan tied to the chimney. It could be a seal because on the high efficiency units it's normal for water to be in there but it's supposed to drain to the internal trap. If this is a new issue and hasn't happened before, that's likely the problem. If it's always done this then I'd be inclined to think there is something wrong with the flue installation. (wrong size or pitch) These are just my guesses from afar. my goodman is dripping water from around the fan down on to my ignitor,,,,, the furnace wont light... someone told me the seal around the fan might be bad... wheres the water comming from please???? Pam - I'm sorry there just isn't enough information here for me to offer any advice. my furnace wont shut off, so i took panel off it is blinking once, which means limit curcuit open, so what do i do now? It's possible since you're getting a touch of a high reading but there is a fuse on the board like a car fuse that could be blown. Thanks for reading. my bryant furnace shows a code of 2 slow flash then 4 fast flash 24 on chart secondary voltage fuse is open check for short circuit in secondary voltage (24) wiring . showing 25 volts in 2 wires coming out of transformer does this still mean to replace the transformer ? John - I would've suggested all you've done. Time to call someone. Thank you for reading. My led light is out on my Goodman furnace. I have checked for blown fusses and tripped circuit breakers and have found none. I have also checked my control module for a fuse and it doesn't have one. It's apparent that my furnace is not getting power but I can't find the problem. Can you give me some suggestions. Michael - I'm glad you got it worked out. Thanks for reading. Discovered that the condensate trap was clogged. Cleaned it, and that appears to have solved the problem. I'm having intermittent heating issues. 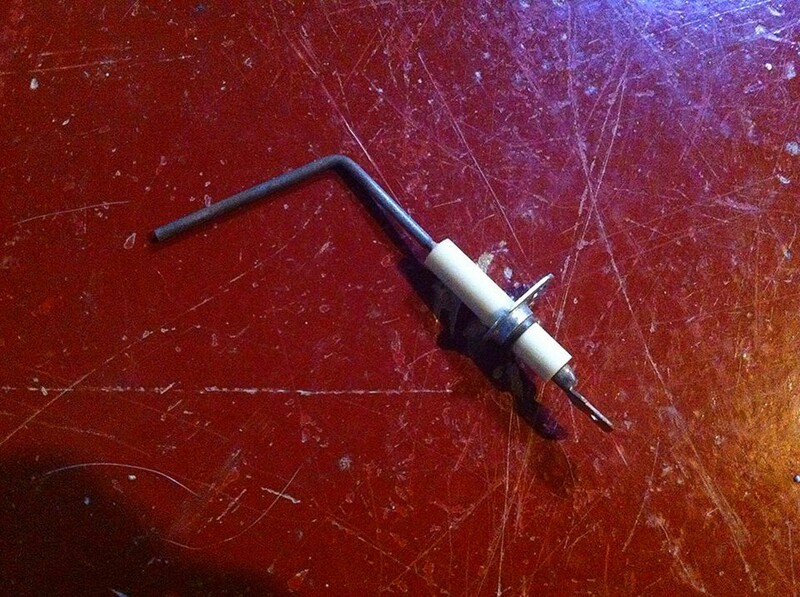 The igniter heats, the gas ignites, it works for 30 seconds, then the flame goes out. In general, the gas valve sounds like it opens and closes a lot. The exhaust fan sounds as though it is moving both air and water. I shutdown the system, and temporarily disconnected the exhaust pipe from the fan to see if the fan is truly blowing. It is, but there is a lot of moisture in the exhaust -- my hand gets thoroughly wet in seconds (cold air, before the unit begins to heat). Is this normal? Trane TUX080C942D2. Code is 3 flashes. Thx. Bae, Marilyn, Dennis - Different furnace brands have different coding. Your furnace will usually have the code meanings in their manuals or on the furnace door itself. I don't know all the codes for all the brands or even within those brands. There are far to many to remember them all. Thank you for reading and commenting and if you can't find those codes on the unit or book, try googling your model number and seeing if a manual pops up. 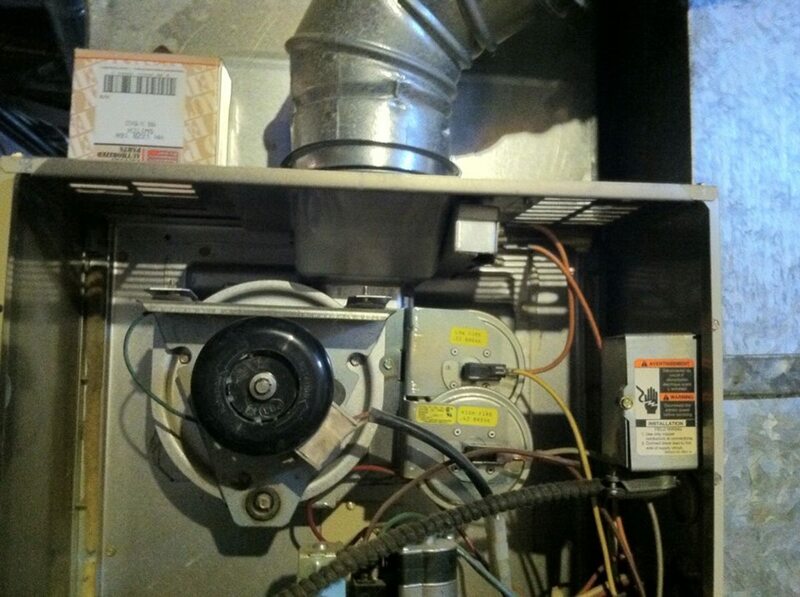 Blower comes on, igniter lights the flames, but no air movement through the ducts or return. Ninfa - It sounds like it's not lighting the gas if the blower is coming on that fast. Watch the unit as it tries to fire and see if the ignitor is bad. Thank you for reading. Steve - Look on the doors for a code chart or the owner manual. That will tell you what code 12 is. Fans run by default when there is a malfunction often times so that doesn't surprise me. It's possible the board is shorted out though since it seems erratic. Thanks for reading. I have a code "12" blinking. Unit worked fine the other evening, then nothing. Blower was running non-stop, but no heat. Even continued to run when panels were removed. That, finally stopped. Suggestions? Rich - If you have all the power to the unit correct/functioning then perhaps whatever blew that fuse shorted the board or the transformer. A 120/24v transformer is pretty cheap so you could give it a shot and then maybe consider a board. Tried cutting powered at the breaker for a min, but still no luck, any ideas?